The Monster High dolls are ready for the hallways dressed for the first day of school. Lagoona Blue doll is fabulous in her signature look. Flexibility at the shoulders and knees adds to the fun with more scary cool poses and storytelling possibilities. The daughter of a sea monster makes waves in a sporty top with stripes and team number paired with print and mesh shorts in sea-inspired colors. Clawesome fashion accessories include a gore-geous pair of blue boots, a blue bangle and blue bag with sea-sational details. 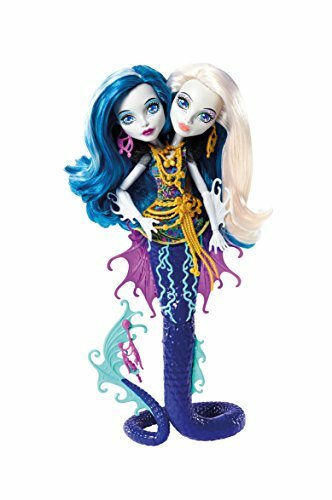 Look for monsterrific touches, like her blue-streaked hair and translucent fins, that showcase this favorite Monster High character’s uniqueness. Ghouls at home will love learning to embrace what makes them unique along with their beast friends from Monster High. Collect all of the Monster High dolls for a full class attendance (each sold separately, subject to availability). 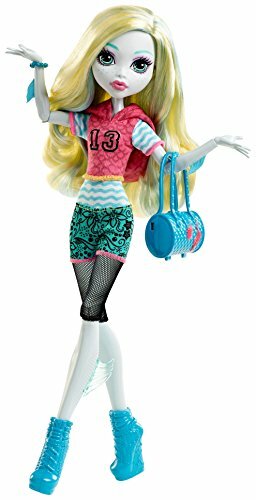 Includes fully articulated Lagoona Blue doll wearing fashion and accessories. Doll cannot stand alone. Colors and decorations may vary. This new Monster High character is double the trouble -- and the clawesome fun! The two-headed daughter of the Hydra, Peri and Pearl are twin sisters who may have their own minds but not their own bodies. Two heads, a serpentine tail -- that allows doll to stand on her own -- and webbed accents are monsterrific details. Glow-in-the-dark accents are creepy cool. Colors and decorations may vary. The Monster High Garden Ghouls winged dolls help imaginations take flight! Gore-geous moth wings have a colorful, animal-inspired print to help Toralei doll enjoy fantastic flights of fancy. The daughter of werecats is purr-fect in an outfit that highlights her signature style and complements the wings. Fly-tastic accessories include red shoes and transparent eyeglasses with antennae and bug-eye effect. Look for monsterrific touches like Toralei doll's orange and blue hair and animal stripes. 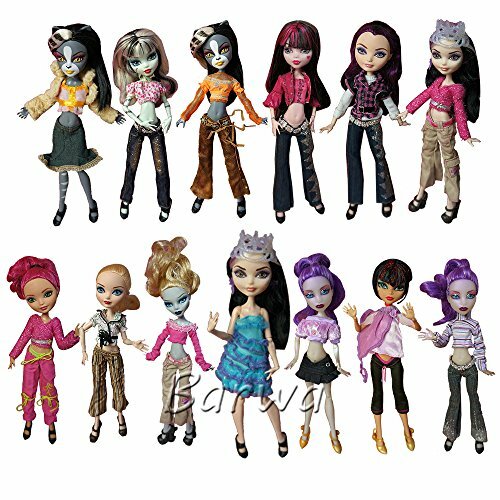 Young ghouls will love discovering what makes them uniquely fantastic along with the beast friends from Monster High. Collect all of the Monster High Garden Ghouls dolls and accessories to grow your own gore-geous garden of fantastical fun (each sold separately, subject to availability). Includes Garden Ghouls Toralei doll wearing fashion and accessories, including wings. Doll cannot stand alone. Colors and decorations may vary. The Monster High dolls can go from girl to ghoul and back again! Clawdeen Wolf doll has an easy, child-activated mechanism that creates an instant transformation. Use the mechanism in the 12-inch doll’s tail to see the furry lining of her outfit flip up to create a furry collar while a wolf mask flips down over her face. 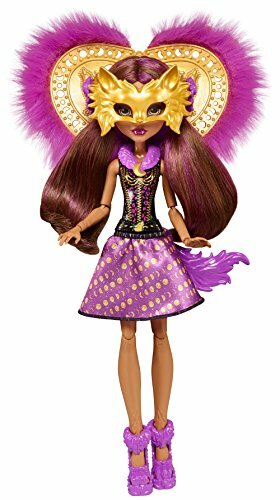 Clawdeen Wolf doll incorporates touches inspired by her personal style and monster legacy as the daughter of a werewolf for monsteriffic fun. 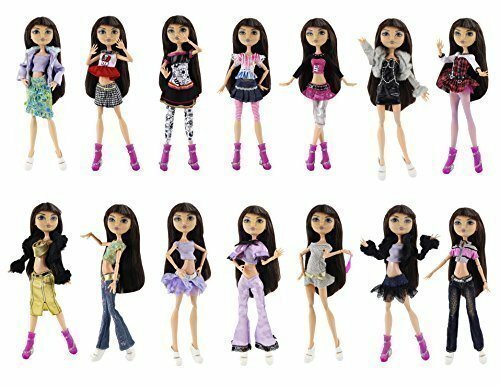 ZITA ELEMENT Lot 10 Pcs Fashion Clothes Outfit for Monster High Doll This Dress fits with: Monster High Doll Dresses are made of satin, lace, silk, and tulle All clothes are handmade and good quality,100% Brand newA great gift for your children ,your friends and yourself Package includes: 10 PCS Clothes for Monster High Doll. (We will pick randomly depending on stock,Doll and other Accessories not included,only the clothes) NOTICE: that all items are made for and all by ZITA ELEMENT® Doll Closet, they are made to fit the popular Barbie Doll products. We are not affiliated with Mattel, we are not implying in any way that these items are associated with Mattel. We simply just offer great products to complement the Barbie products. Barbie is the trademark of Mattel. Compare prices on Monster High All Dolls at ShoppinGent.com – use promo codes and coupons for best offers and deals. Start smart buying with ShoppinGent.com right now and choose your golden price on every purchase.